Bush’s comments reflect a prevalent notion among Americans, especially Republicans that the individual is primarily responsible for one’s circumstances. For instance, to the question which is to blame if a person is poor, 51 percent of Republicans said “lack of effort,” and 32 percent said “circumstances outside one’s control.” In contrast, Democrats answered 29 percent and 63 percent respectively. This view holds that the individual, not circumstance, is the primary factor that influences one’s socioeconomic status. This belief can be seen to extend to a person’s preparedness for disasters, as exampled by Jeb Bush’s comments. 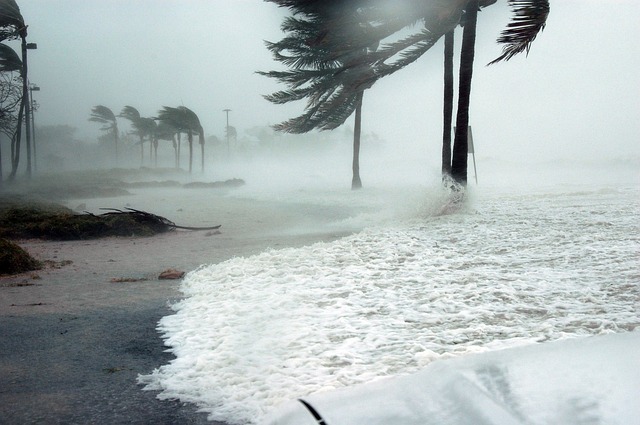 While personal responsibility is an important part of disaster preparedness, public administrators cannot ignore institutional and socioeconomic barriers people face. Many hindrances limit peoples’ ability to help themselves, especially among the poor. Poverty and other economic restraints create an environment where sudden monetary and time expenditures are near impossible. Policy makers may overlook some of these socioeconomic barriers. Those in poverty are likely to work low paying jobs with limited scheduling flexibility. These jobs are likely paid hourly, with little to no paid time off to prepare for an eminent disaster or emergency. This situation forces the individual to weigh the costs of preparing for a disaster versus keeping one’s job and wages. Moreover, one must evaluate the cost of quitting their job in order to prepare for oncoming disaster. People in poverty are likely unable to acquire funds to sufficiently purchase emergency supplies. One study shows that a quarter of the U.S. population has no emergency savings, a fact made more troubling by a second study which showed that the median household savings account has zero dollars. These issues bring to light an important question: if government officials want their constituents to be more self-reliant, what then is the role of government? Ireni-Saban in “Challenging Disaster Administration: Toward Community-Based Disaster Resilience” discusses how government ought to shift from a provider of direct service to a provider of empowerment. In her view, governments and communities play a role in reaching self-sufficiency through inclusion, advocacy and competency. Government must first encourage community inclusion into the mitigation, planning, response and recovery planning stages of emergency management. Certain policies will have adverse and regressive effects upon the poor. Government must create channels for all communities to be included in government decisions, especially ones that may adversely affect their community. The government should also identify leaders within the community and involve them in the policymaking process. Once communities are included more effectively in government, communities can advocate for themselves. The idea is that the community may better understand their needs and then use channels of inclusion to lobby the government for needed resources. Once government knows what the community wants and needs, the government can then advocate on behalf of the citizens. Government does not need to impose what it thinks is most important on a community; rather, government should listen to the community’s wants and needs, and then help with the provision of these goods. Government can better encourage competency by investing in the individuals of the community. This can be done by educating the community planning for disasters, increasing community activities to support self-confidence, and incorporating community leaders in preparedness and recovery plans. This investment into the community focuses on making the citizens better able to take care of themselves by increasing knowledge of disaster planning. In regards to disaster management, a poor family may not be able to afford the related disaster preparedness costs all at once. Government may fund financial planning classes to teach citizens about proper financial planning for disasters. Government could encourage these types of activities and education for communities well before disaster strikes. In summary, inclusion, advocacy, and competency are necessary action steps for building a resilient community. A community’s recovery back to normalcy after a disaster is quicker if the population can adequately rely on itself. Since this is not possible in every community, it is the role of government to bring their community to this point of being self-sustaining. Jeb Bush is certainly correct that people should prepare for disaster and that personal responsibility is important. However, we cannot neglect the fact that people often face difficult situations. Thus, the government must help empower people to be able to better take care of themselves and their families. Regarding the article’s central thesis of poverty and funds for emergency preparedness, I support the author’s concern and knowledge that even the working class often lives paycheck to paycheck in the US. Therefore, plans to develop wealth, assets, and even savings for a big event requires information and a change in knowledge and perspective. In relationship to poverty itself, similar to long term unemployment and housing costs, the government figures could be said to obscufate (i.e. hide or deny the actual problem). However, if pushed to clarify, the government “reveals” plans such as indigency, criminality and forced jobs for inadequate pay. Of course, the government still has good people who will look for subsidies, set aside funds that be accessed or matched, develop a government-non-profit program in disaster supplies, or even pair with a for-profit to provide low cost supplies on an annual basis (e.g., first aid kits, water supplies, emergency egress plans from homes, medication notations in refrigerators). The author I believe intends to pursue these areas to make a difference.